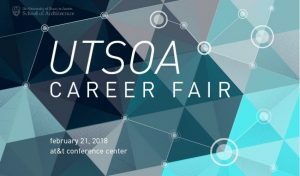 Many architecture programs typically hold career fairs during this time of year – February and March. Below are steps to ensure success! First, be sure to attend. In my many years of experience working with students, many will have excuses for not attending – “I am only a first-year students,” “I do not have enough experience,” “I do not have appropriate clothes, etc.” Regardless the excuse, they are NOT valid; you SHOULD attend the event. Next, approach the Career Fair as a marathon race; in running a marathon, there is training prior to the race, there is the actual race, and there are tasks to do after the race. In the same manner, you must prepare prior to the Career Fair, there is attending the Career Fair, and there are tasks to do after the event. Hopefully, you were made aware of the Career Event at your institution well in advance of attending allowing you more than adequate time to prepare. But, what do you need to prepare – first, you will want to be sure that your tools are all up to date – resume, portfolio, and interviewing skills. Many of the programs will have workshops on these topics prior to the Career Fair; again, you should plan to attend. Even consider connecting with the centralized Career Center to receive critique. Aside from preparing your career search materials, the primary task is to review the list of firms attending and determine which are the ones you wish to target. In some instances, the list may not be revealed until the day of the event. If this is the case, ask upperclassmen on who attended the previous year or even ask the organizers of the event for a list. At minimum, do research on the firms prior to approaching a table. Another task prior to the “race” is the preparation of your story. What is your story? When you approach a firm representation during the event what will you share? Some will call this your 30-second elevator pitch. Simply put, who are you, what are you about and what do you want. While “training” could be argued as more important than the race, the actual event is also very important. As you attend the event, be sure that you have more than enough copies of your resume and/or portfolio sheet along with your portfolio. Some students will use a tablet (iPad, etc.) to showcase their work. And, be sure you are dressed appropriately for the event. Upon arrival, obtain the prepared list of firms and review to strategize how you spend your time at the Career Fair; make notes as you review and do a walk-around the space to see where certain firms are located. Depending on the time you have, approach a firm for a connection; make good eye contact and shake hands firmly with the representative. From there, have a conversation (mini-interview). As you end your connection, be sure to ask for a business card and request any information on the firm that may be available. Keep doing the same with the firms you selected; as needed, connect with fellow classmates or faculty to share thoughts and ideas for different firms. And remember, you are searching for NOW and the future; you never know when you might connect with these same firms later in your career. First, congratulations on “surviving” the Career Fair. After the event, you will want to follow-up accordingly with handwritten thank-you cards – remember, you have their business cards. Even follow-up with the firms that you no longer wish to pursue. You may even with to write a brief personal assessment of the firm – what was good, not so good. Perhaps, this process helps you determine that type of work you wish to do after graduation. And, remember this is a process. If you have not heard back from a firm in a reasonable timeframe, feel free to contact them to schedule an interview. Be persistent and assertive. 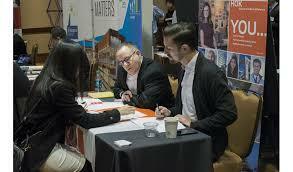 Career Fairs hosted by architecture programs are a very important event to connect with firms, but it is NOT the only means to secure a position. Use all means available to you – job boards, networking, AIA Chapters, etc. Best to you in your career search!